Mere moments from all that the Highlands has to offer, this gorgeous and stylish condo is a gem! With a unique 2 level floor plan, this condo provides privacy for guests with a bedroom with an en-suite bathroom on the first floor that is separate from the main living quarters that are on the second floor. Walk up the stairs through the spacious foyer to a light and bright living/dining room with beautiful hardwood floors that is open to the kitchen. Kitchen features granite countertops, SS appliances & a breakfast bar. Master suite has vaulted ceilings, a Juliette balcony, walk-in closet & en-suite Jack-n-Jill bath. Private balcony off the living room and secured garage parking with a storage unit. 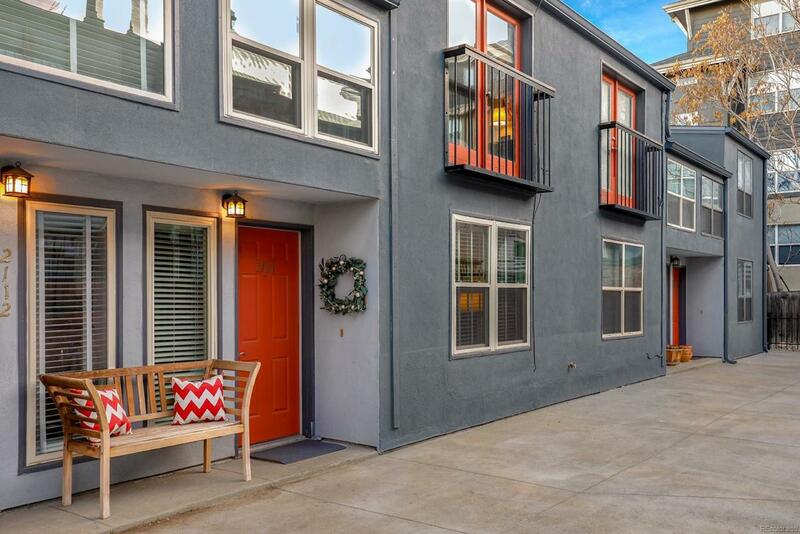 Wonderful shared courtyard space is perfect for summer entertaining. Amazing location walking distance to LoHi Athletic Club, Hirshorn and Commons Parks, as well as many of Denver's hottest restaurants including El Five, Linger, Avanti, Uncle, Senor Bear, Bar Dough & Little Man Ice Cream.